This is the second time writing this post. The first took so long my login cookie timed out and nothing got saved. My bad for not clicking the "save as draft" button more often, or at all. Basically I had explained how in my search for a new Android phone I was turned off by the size of the current options. I don't need a tablet, I have one, I need a device to make calls, send some texts, and run the occasional weather or twitter app that fits in my pocket and can be used with one hand comfortably. About this time my wife had seen the new iPhone 6s rose gold saying "wow that looks nice" which basically translates into "we are buying that". So after a trip to the Apple Store her old iPhone 5s was up for grabs. My friend had recently posted how he hates the new iPhone 6 his company makes them use. 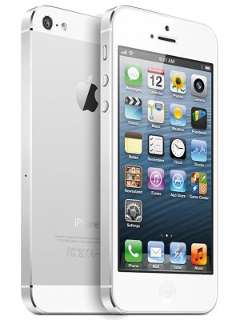 But another said he loves his 5s, also coming from Android. I decided to give the iPhone 5s a try and this is what I found after a few days of use. So far every app I used on Android had an iOS version except for Series Guide. Luckily it is just a front end for trakt.tv so I installed iSeries for iOS and after linking my account all worked fine. I get better reception, my accuracy on the keyboard is better, and I love the fingerprint unlock feature. Camera has also performed well, not as many focus issues as my LG G2. Battery life is a little less, but considering this is a 2 year old hand me down a quick purchase from iFixit will take care of that. Not being able to plug into a PC to transfer photos for work was a little hiccup. I ended up installing Microsoft OneDrive to transfer files, and so far it is working great. Customizing the home screen, or the lack there of, is a downer, but not a show stopper. In fact the only real casualty so far is my Moto 360 smart watch. 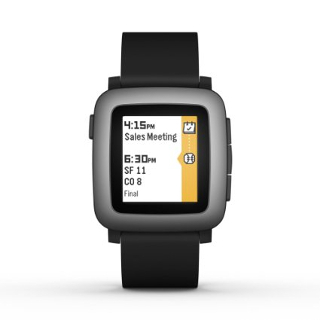 Google released Android Wear for iOS, but it is near useless compared to the native version. Hopefully some things improve over time but coincidentally I stopped wearing the watch because it bothers me in anything long sleeves. All in all I am pretty happy so far and expect to continue with the 5s as my daily phone. Any changes to this opinion, like usual, will be posted here. Wow, the “inevitable replacement with some Android based device” happened a lot sooner than expected. I came across a deal that was too good to pass up on this Unlocked HTC Vision (T-Mobile G2) phone. What a difference from the N900, allow me expand on that a little. 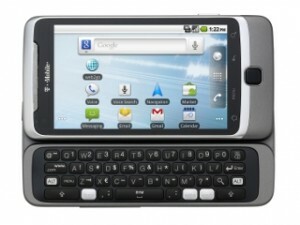 This isn’t my first Android device. The Archos 5 Internet Tablet was a nice glimpse into what was possible on the platform, but running firmware 1.6 and no access to the official market (without hack) didn’t create much draw to Android for me. A little history. Back in the late 90’s I was inseparable from my Palm devices. Calendar, Contacts, Mail (off-line), Photos, Data, and a few Games all conveniently in my pocket. As my job roles changed, I realized having this portability for even more tasks was very desirable. So as my needs continued to expand, I began purchasing devices that fall under the UMPC category. Keeping a long product list aside, I eventually ended up with the Nokia N900. A Linux based Pocket PC that happened to make phone calls. It ran all the programs I needed … except somehow none for keeping track of my Calendar, Contacts, Mail, well you get the idea. The above is exaggerated a little. I am a Google user, not just the search engine but all their on-line branded products. Everything was accessible via a web browser from the N900, which I thought was adequate. However, I can not describe the pleasure of signing into my Google account, and having every application be instantaneously synced to my “life” on the G2. To quote Prince, time to party like it’s 1999. Everything is easily available at my fingertips once again. Easily being the key word. I have no doubt I could have gotten along with the N900 for another year. I have no plans to sell it. In fact I can now test newer updates from my fellow enthusiasts without risk of taking my main phone off-line for any extended period of time. But for daily use Android and the HTC Vision are here to stay. 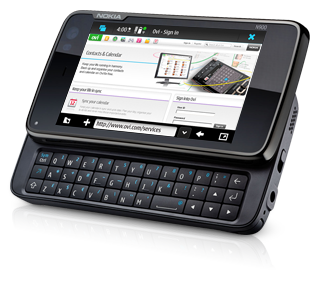 I have been using a Nokia N900 cell phone since April of last year. Paid the unsubsidized price so I could use a T-Mobile pay-as-you-go SIM for phone and text. My older N810 only had Wi-Fi, and I couldn’t justify the cost of a data plan for the rare occasion I’m not near a hotspot. So far I have been very pleased with this setup, with an average monthly cell phone cost of $8 I am now ahead of the game. The N900 was marketed as a flagship device for the new Nokia OS, so the disappointing news of support for Meego being dropped in favor of Windows Mobile 7 had me discouraged. A reoccurring theme with Nokia that I should have learned from by now. Lucky, as with past devices, the community stepped up and is rolling out regular Community Seamless Software Updates (SSU). While this trend continues, my N900 will have use … until the inevitable replacement with some Android based device.